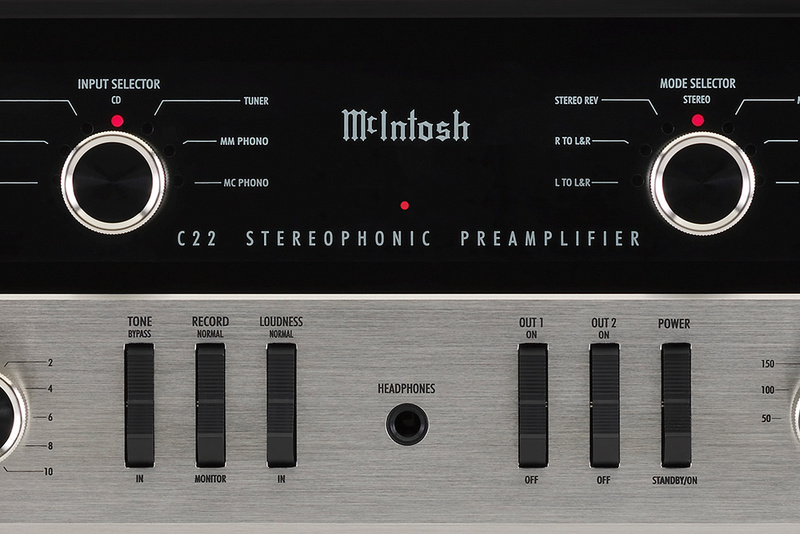 According to the company’s press release on the C22 issued today: “[T]he reintroduced C22 still maintains that cool retro design but has been updated to modern standards to deliver a performance on par with any other McIntosh preamp. Electromagnetic input switching provides reliable, noiseless and distortion-free operation. Low distortion levels of all types are less than 0.08%, allowing music to be presented with total transparency and accuracy. 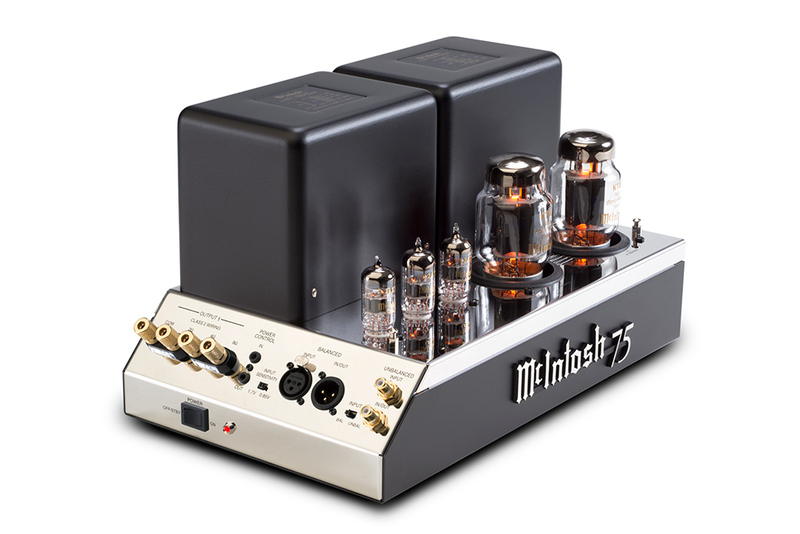 A separate press release was issued on the MC75, stating: “Not made since 1970, the reintroduced MC75 mono vacuum tube power amplifier delivers modern performance standards in a classic design. It has all the features to meet the needs of today’s music enthusiast. 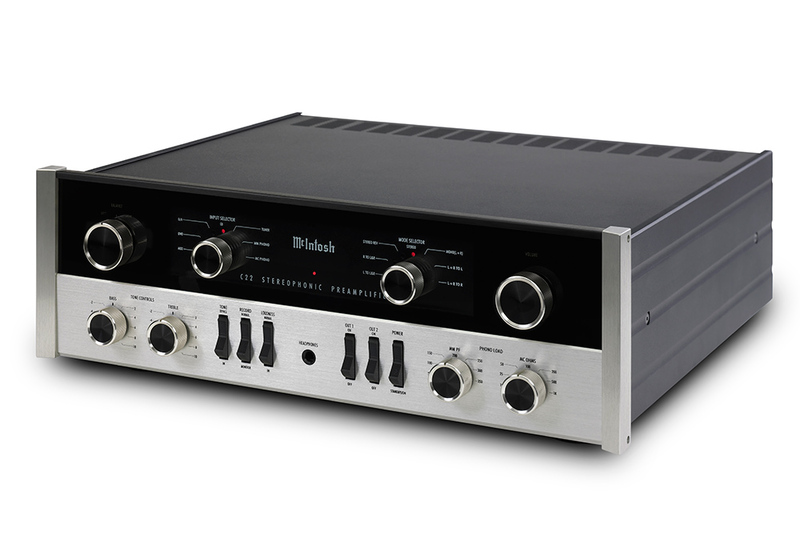 As with all McIntosh mono amplifiers, the MC75 will provide ultimate stereo separation and imaging with each channel utilizing a separate amplifier. 75 watts of power is output into a 2, 4 or 8 Ohm speaker with less than 0.5% distortion. “McIntosh’s patented Unity Coupled Circuit design provides low distortion, extended frequency response and long tube life. The MC75’s large, oversize power transformer provides unusually high power and dynamic response from a single pair of KT88 output tubes, once again setting the performance benchmark for tube amplification. Both products are available to order now; however, according to the press releases, neither will be available in the European Union “due to current power management and standby power requirements.” No pricing information for either product was given.